Like a lot of outsider business execs who want to come in and fix politics, Howard Schultz has kept some distance from the mess of democracy in the past. By not voting. 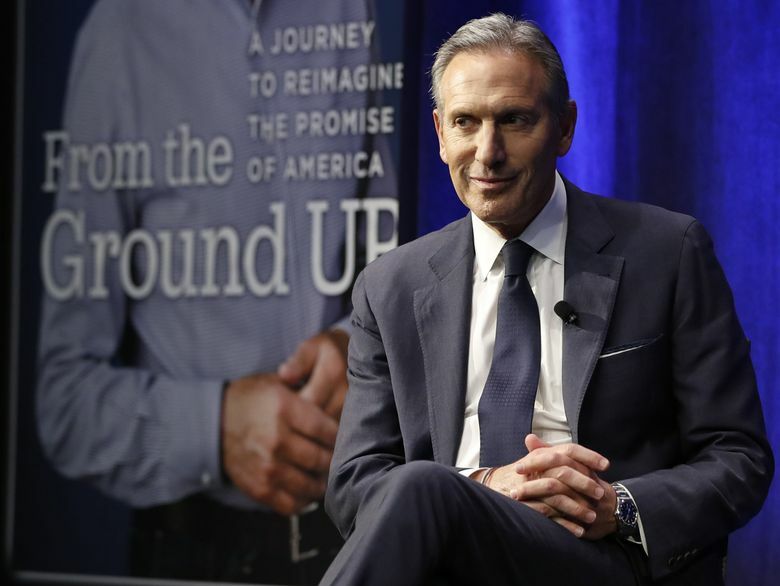 Howard Schultz wants to run for president as that curious but hardy perennial, the un-politician. “I strongly believe we are living in a time that demands a re-imagining of our current political system,” Schultz told this newspaper Sunday. Politics in America is “broken” and in dire need of repair, from the outside in, he said. So it wasn’t too surprising to discover that he personally is a practitioner of un-politics. As in: not voting. State and county election records show that going back to 2005, Schultz has cast a ballot in just 11 of 38 elections. This isn’t the worst voting record I’ve seen in a political candidate. But neither does it suggest someone actively involved in ballot-box democracy over the years. Schultz has at least voted in every election for the office he’s now seeking, the presidency. He also voted in the most recent midterms, in 2018. But he has skipped most of the state and local elections over the years, as well as some of the big midterms (like in 2014, when Republicans retook the U.S. Senate, and 2006, when Democrats “blue-waved” the Bush administration). He also didn’t vote during an election that featured a measure targeting him. Initiative 91, which passed in Seattle in 2006, sought to bar public subsidies for sports arenas. Schultz had sold the Sonics a few months before the vote, so maybe he didn’t care anymore at that point. Fair point. Lowering the deviancy bar is Trump’s great gift to politicians for years to come. But Schultz’s lackluster voting history does suggest a certain trope — the business executive who’s above the messy political fray, but also somehow most qualified to swoop in and fix it. Recently a slew of big-name business execs have made political bids pitching roughly Schultz’s same “fix it from above” approach. Maybe it’s a coincidence, but they were all weak voters, too. Such as former Hewlett-Packard CEO Carly Fiorina, who ran for Senate and the presidency but got dinged for voting in only six of 14 elections. Or former eBay executive Meg Whitman, who ran for Senate but apparently went without voting at all for decades. Trump himself had voted in 20 of 41 elections, according to The Washington Post, at the time he announced his campaign in 2015. That’s low, but still a higher voting rate than Schultz. To compare, I checked our other wannabe presidential candidate, Gov. Jay Inslee. You probably could guess: Sunny Jay, the golden retriever of state politics, is a perfect voter. He cast ballots in an incredible 38 of 38 elections going back to 2005, including in the most tedious off-year affairs, for things like county fingerprint system and school-district director. Of course it doesn’t mean Inslee would make a good president (or that Schultz necessarily wouldn’t). But it does show a certain respect for the old-fashioned ballot-box grunt work that, we tell ourselves anyway, is still supposed to be the backbone of this entire enterprise.